Peter Hook, known as Hooky, played bass for Joy Division and then New Order – though he is no longer with New Order, having fallen out with guitarist Bernard Sumner (also ex Joy Division) in early 2007. Hook’s first book, called The Hacienda: how not to run a club, was published in 2010 but I paid no attention at the time, nor to its successors Unknown Pleasures and Substance. Leafing through the Hacienda book earlier this year though, I discovered that Hook is an excellent writer, with a disarming to-the-point style and deadpan humour. He is also, it seems, ruthlessly honest in his recollections; maybe there are some embellishments, or maybe he tells it just as it happens, but either way he neither holds back nor wallows in the excesses of the rock ‘n’ roll lifestyle, just narrates it. Normally I don’t include any other people in my writing. Everyone remembers the same things completely differently. The central character in this book is not Hooky, but rather Ian Curtis, the lyricist and singer in Joy Division. In fact, as you finish the book, you realise that Hooky has kept his own personal life, such as his relationship with Iris with whom he stayed for 10 years, largely hidden from view. The Hooky self-described in the book is a lad and a japer who gets lucky with his distinctive bass playing almost by accident. Curtis on the other hand is an intellectual and a poet, though when off-stage with the band he adopts a laddish persona which is at odds with how he behaves with his wife Debbie or his mistress Annik Honoré. Maintaining these different personalities was a source of huge stress, especially since Curtis was an epileptic and not physically robust. During the recording of the second and last Joy Division album, Closer, and just a couple of months before Curtis took his own life, the band stayed in two adjacent London flats. In one were Hooky, Sumner and drummer Stephen Morris, and in the other Curtis with girlfriend Honoré. As Hooky tells is, the band did the usual rock lifestyle focused on drink, drugs girls and recording sessions, while Curtis and Honoré would go out to art galleries and museums. The separate flats and lifestyle seem symbolic of the differences between Curtis and his band. Though that did not stop the other band members disassembling and removing their bed one night as a jape, causing Curtis to “go mental, absolutely mental”. This and other accounts of high jinks on the road now seem deeply insensitive, considering the state of Curtis’s physical and mental health, a fact which Hook openly acknowledges. I feel terrible about it now of course. Now I’m older and wiser, and now I’ve looked at his lyrics and worked out what a tortured soul he was. We should have left him alone to have his love affair but we didn’t because he wasn’t tragic Ian the genius then. He was just our mate and that’s what you did with your mates up north, you ripped the piss out of them. This remark touches on another thing: that Hook says little about the content of Curtis’s lyrics and apparently took little notice of them at the time. He experienced the songs viscerally without troubling much about the meaning of the words. The consequence is that this book says little about what Curtis was trying to communicate through the music and lyrics of Joy Division. Hook presents track-by-track descriptions of Unknown Pleasures and Closer but focuses largely on the instruments, song structure and produce Martin Hannett’s effects. A notable feature of Joy Division’s short life is that the band never had much money. There is even a suggestion that when the band was achieving considerable success, Factory Records and band manager Rob Gretton were happy to keep the band poor on the grounds that the music was better that way. So we get accounts of travelling down the motorway in old vans that hardly worked, sleeping on tour in dormitories and brothels (if the hotel says your room will not be available until 1.00am you should worry), and making do with dodgy instruments and amplification. There is an illustration showing Joy Division’s accounts in 1980 and 1981: the band made far more money after Curtis died than it ever did before. If you like Joy Division (and I personally find the band utterly compelling) then you will enjoy this book, even though it is not, and does not pretend to be, the last word. If you wonder what the UK’s punk movement was like at the sharp end, you should read this book (hint: it was not glamorous). Then put on some Joy Division and reflect on how amazing and accidental it is that this music exists, with all its emotional power; and how it is so unlike the music of New Order, fine though that is in its own right. 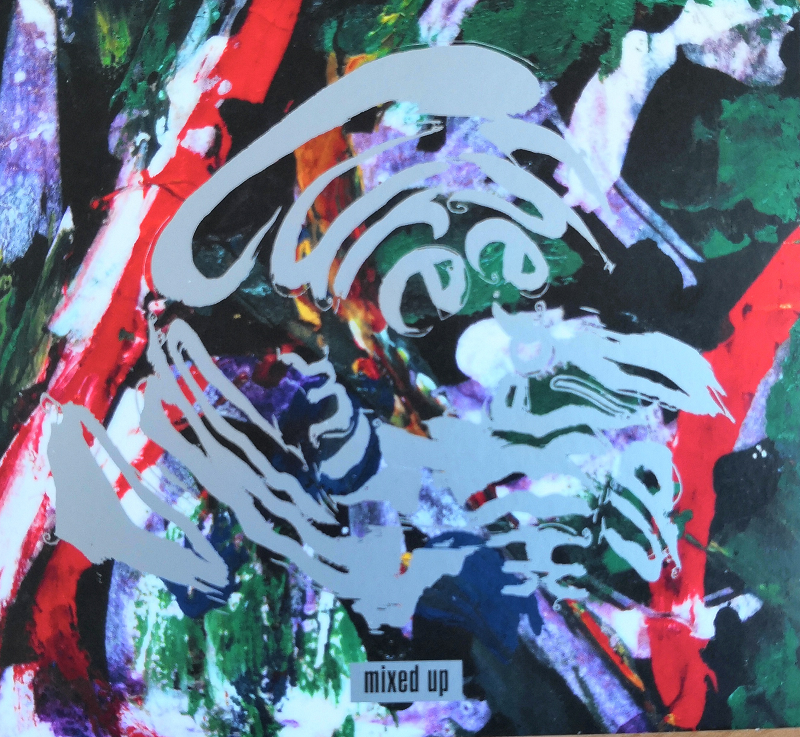 The Cure has released a 3-CD deluxe edition of Mixed Up, originally released as a double album or single CD in November 1990. 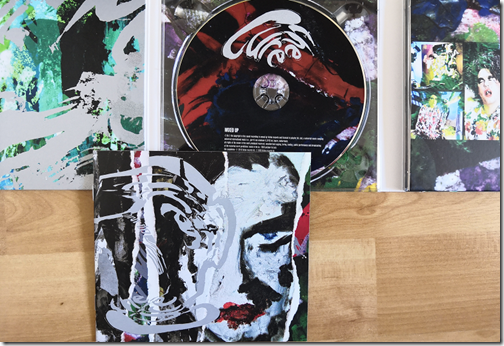 Parts of this release have already appeared on vinyl in two limited Records Store Day 2018 releases: Mixed Up, and Torn Down. 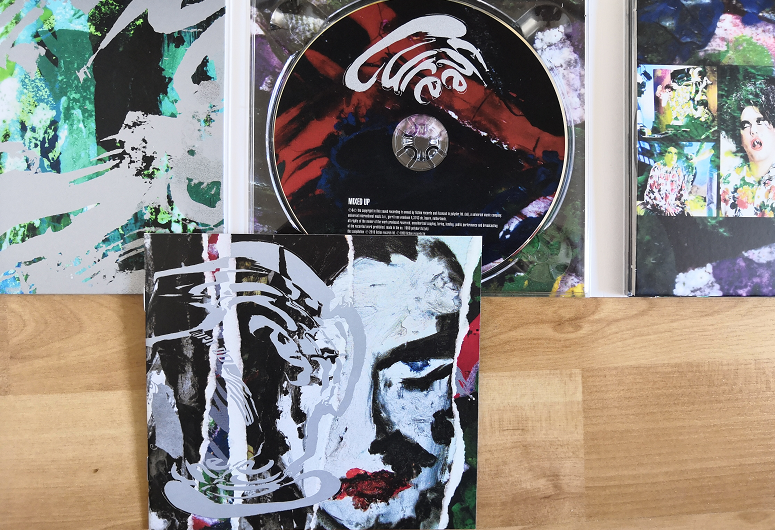 A few words about the CD. Why would anyone buy a CD in this streaming era? It is a waste of money if you just want to listen to the music, but you do get some nice packaging, weird squirly, blocky artwork, photos of the band and of memorabilia from the day, and a 32-page booklet with notes and credits. When physical media has disappeared completely I will miss these things, even though the wretched small size of CD artwork means you have to squint to read the credits. 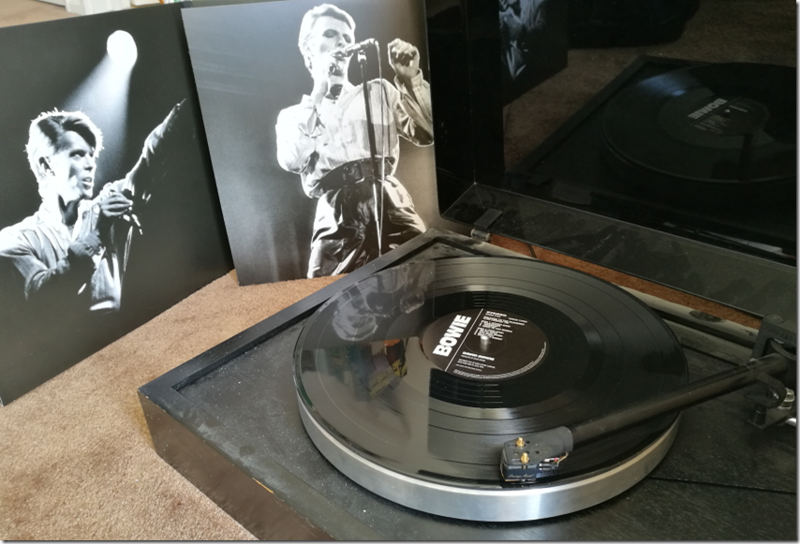 The original thought was to compile the extended mixes made for 12″ singles into an album, since some of these releases were out of print and sought-after by fans. As he worked on the album though, he moved beyond that initial concept. The early 12″ mixes of songs like Primary, Lovecats and Inbetween Days seemed to him inferior to the more recent releases, so he moved from compiling to reworking existing mixes of earlier songs. In fact, neither Lovecats nor Primary appeared at all on the original Mixed Up. In addition, two tracks on the original Mixed Up (A Forest and The Walk) were re-recorded from scratch as the multi-tracks were missing. The Walk (Everything Mix): new recording for Mixed Up. A Forest (Tree Mix): New recording for Mixed Up. This made it a curious release, essential for Cure fans thanks to new material included but poor in terms of collecting previously released extended mixes. Inevitably, there are still a few tracks missing. These are Primary (Extended Mix 1981); The Lovecats (Extended Version 1983); and In Between Days (Extended Version 1985). The notes refer to a digital release though I am not sure where or whether they have been released. Smith says of these versions that Primary was “basically a 7″ instrumental cut into the 7″ single mix”, that Lovecats was not really a remix, but rather the original single mix before it was edited down, and that In Between Days was “extended by person or persons unknown” and nothing to do with him. Of these the only one I care about is Lovecats; I would like to have the full version here. This is where Smith lets himself go and makes new mixes of favourites from the Cure’s back catalogue. “Compared to most of the Mixed Up remixes, my versions tend to work with the existing song structure; they’re pretty much the same length and tempo as the original … I found myself happier working within those structural restraints,” he says in the notes. That said, he found elements in the songs that had previously been buried, including the actual sound of heavy rain at the start and end of A Night Like This, which he brought out in the new mix. So how are the new mixes? An interesting way to hear them is to play the original followed by the remix, easy to do if you rip your CDs to a computer or streaming system. You can hear some themes, such as a more techno feel to the new mixes, and that Smith’s vocals are more forward. Three Imaginary Boys, for example, gives you a new perspective on an early song, with the “Can you help me” vocal from the end moved to the beginning of the song, hence the name “Help Me Mix”. Shake Dog Shake benefits from the extra clarity of a modern mix and sounds more sinister and colourful than the original. It tends to be lesser-known songs that benefit most. It is difficult to re-approach a magnificent song like Plainsong without making it worse, and in this case it is as expected. Perhaps then it is better not to listen to them alongside the originals but to enjoy it as a whole. Cure fans will enjoy it even though it is not in any sense ground-breaking. This collections gets a warm welcome from me. I have always enjoyed Mixed Up, and I am delighted now to get treats like the earlier extended mixes of Close To Me. Just One Kiss, and the other extended mix of Pictures of You, which to me are the definitive versions. The sound quality is excellent, and kudos to mastering engineer Tim Young for showing some restraint in mastering so that these songs are not wrecked by excessively LOUD mastering. Acer kindly loaned me a Windows Mixed Reality headset to review, which I have been trying over the holiday period. First, an aside. 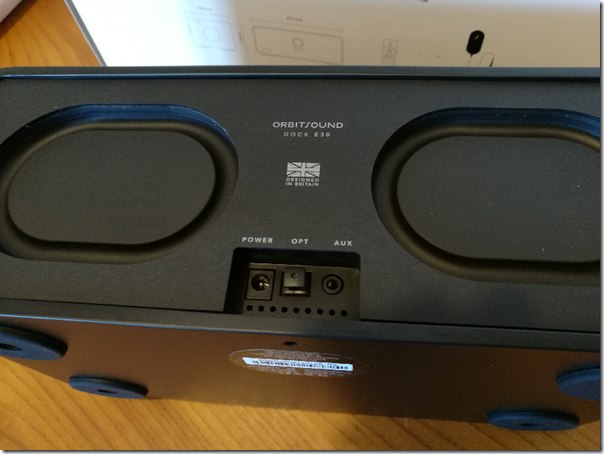 I had a couple of sessions with Windows Mixed Reality before doing this review. 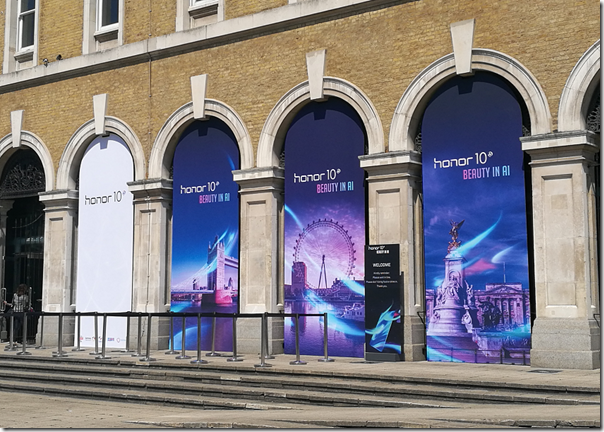 One was at IFA in Berlin at the end of August 2017, where the hardware and especially the software was described as late preview. The second was at the Future Decoded event in London, early November. 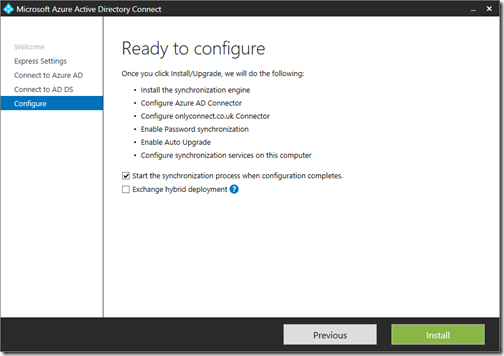 On both occasions, I was guided through a session either by the hardware vendor or by Microsoft. Those sessions were useful for getting a hands-on experience; but an extended review at home has given me a different understanding of the strengths and weaknesses of the product. Readers beware: those rushed “reviews” based on hands-on sessions at vendor events are poor guides to what a product is really like. A second observation: I wandered into a few computer game shops before Christmas and Windows Mixed Reality hardware was nowhere to be seen. That is partly because PC gaming has hardly any bricks and mortar presence now. Retailers focus on console gaming, where there is still some money to be made before all the software becomes download-only. PC game sales are now mainly Steam-powered, with a little bit of competition from other download stores including GOS and Microsoft’s Windows Store. That Steam and download dominance has many implications, one of which is invisibility on the High Street. What about those people (and there must be some) who did unwrap a Windows Mixed Reality headset on Christmas morning? Well, unless they knew exactly what they were getting and enjoy being on the bleeding edge I’m guessing they will have been a little perplexed and disappointed. The problem is not the hardware, nor even Microsoft’s implementation of virtual reality. The problem is the lack of great games (or other virtual reality experiences). 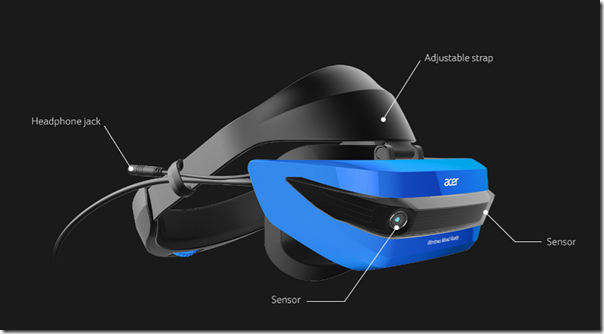 This may improve, provided Microsoft sustains enough momentum to make Windows Mixed Reality worth supporting. The key here is the relationship with Steam. Microsoft cheerfully told the press that Steam VR is supported. 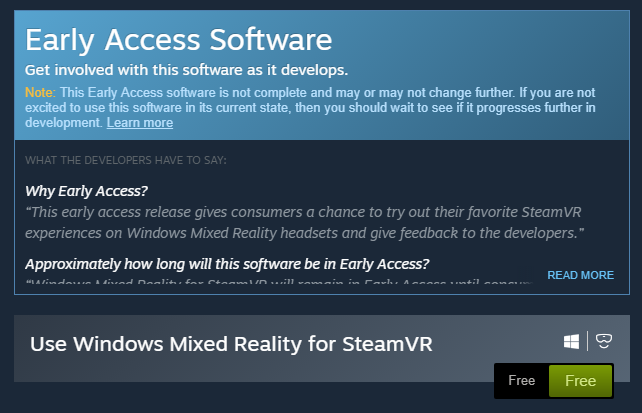 The reality is that Steam VR support comes via preview software which you get via Steam and which states that it “is not complete and may or may not change further.” It will probably all be fine eventually, but that is not reassuring for early adopters. My experience so far is that native Windows MR apps (from the Microsoft Store) work more smoothly, but the best content is on Steam VR. The current Steam preview does work though with a few limitations (no haptic feedback) and other issues depending on how much effort the game developers have put into supporting Windows MR. I tried Windows MR on a well-specified gaming PC: Core i7 with NVIDIA’s superb GTX 1080 GPU. Games in general run super smoothly on this hardware. A Windows Mixed Reality headset has a wired connection to a PC, broken out into an HDMI and a USB 3.0 connection. 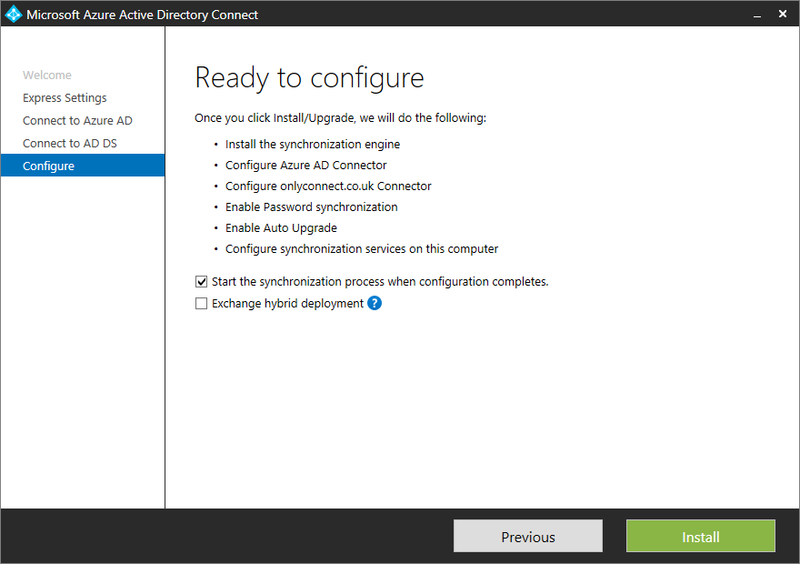 You need Windows 10 Fall Creators Update installed, and Setup should be a matter of plugging in your headset, whereupon the hardware is detected, and a setup wizard starts up, downloading additional software as required. In my case it did not go well. Setup started OK but went into a spin, giving me a corrupt screen and never completing. The problem, it turned out, was that my GPU has only one HDMI port, which I was already using for the main display. I had the headset plugged into a DisplayPort socket via an adapter. I switched this around, so that the headset uses the real HDMI port, and the display uses the adapter. Everything then worked perfectly. 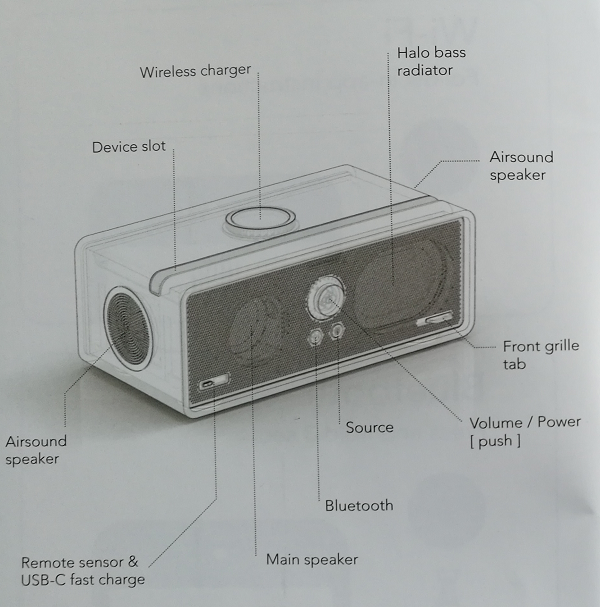 The controllers use Bluetooth. I was wary, because in my previous demos the controllers had been problematic, dropping their connection from time to time, but these work fine. They are perhaps a bit bulky, thanks to their illuminated rings which are presumably a key part of the tracking system. They also chew batteries. The Acer headsets are slightly cheaper than average, but I’ve enjoyed my time with this one. I wear glasses but the headset fits comfortably over them. 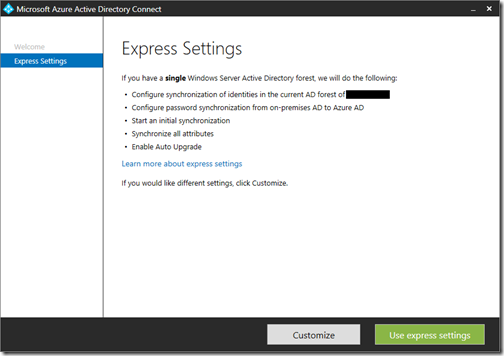 A big selling point of the Windows system is that no external tracking sensors are required. This is called inside-out tracking. It is a great feature and makes it easier just to plug in and go. 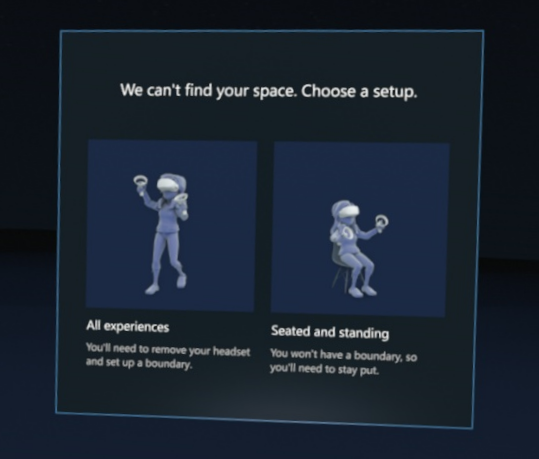 That said, you have to choose between a stationary position, or free movement; and if you choose free movement, you have to set up a virtual boundary so that you do not walk into physical objects while immersed in a VR experience. The boundary is an important feature but also illustrates an inherent issue with full VR immersion: you really are isolated from the real world. Motion sickness and disorientation can also be a problem, the reason being that the images your brain perceives do not match the physical movement your body feels. 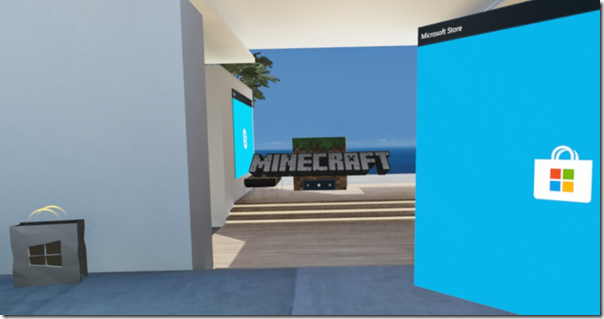 Once set up, you are in Microsoft’s virtual house, which serves as a kind of customizable Start menu for your VR experiences. The house is OK though it seems to me over-elaborate for its function, which is to launch games and apps. I must state at this point that yes, a virtual reality experience is amazing and a new kind of computing. The ability to look all around is extraordinary when you first encounter it, and adds a level of realism which you cannot otherwise achieve. That said, there is some frustration when you discover that the virtual world is not really as extensive as it first appears, just as you get in an adventure game when you find that not all doors open and there are invisible barriers everywhere. 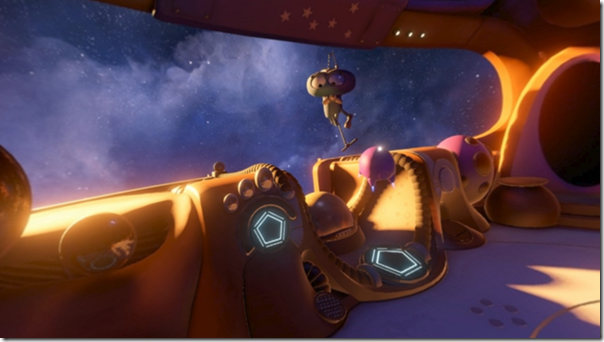 I am pretty sure though that a must-have VR game will come along at some point and drive many new sales – though not necessarily for Windows Mixed Reality of course. I looked for content in the Windows Store. It is slim pickings. There’s Minecraft, which is stunning in VR, until you realise that the controls do not work quite so well as they do in the conventional version. There is Space Pirate, an old-school arcade game which is a lot of fun. There is Arizona Sunshine, which is fine if you like shooting zombies. I headed over to Steam. The way this works is that you install the Steam app, then launch Windows Mixed Reality, then launch a VR game from your Steam library. You can access the Windows Desktop from within the Windows MR world, though it is not much fun. Although the VR headset offers two 1440 x 1440 displays I found it impossible to keep everything in sharp focus all the time. This does not matter all that much in the context of a VR game or experience, but makes the desktop and desktop applications difficult to use. I did find lots of goodies in the Steam VR store though. There is Google Earth VR, which is not marked as supporting Windows MR but works. There is also The Lab, which a Steam VR demo which does a great job of showing what the platform can do, with several mini-games and other experiences – including a fab archery game called Longbow where you defend your castle from approaching hordes. You can even fire flaming arrows. Asteroids! VR, a short, wordless VR film which is nice to watch once. It’s free though! Irrespective of who provides the hardware, VR has some issues. 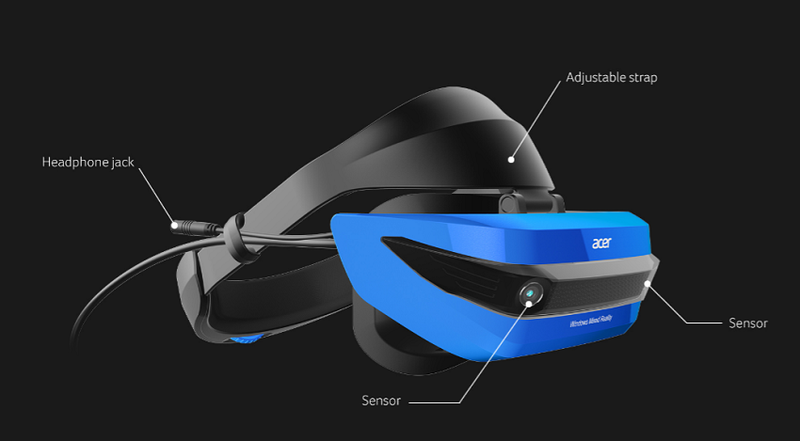 Even with inside-out tracking, a Windows Mixed Reality setup is somewhat bulky and makes the wearer look silly. The kit will become lighter, as well as integrating audio. HTC’s Vive Pro, just announced at CES, offers built-in headphones and has a wireless option, using Intel’s WiGig technology. 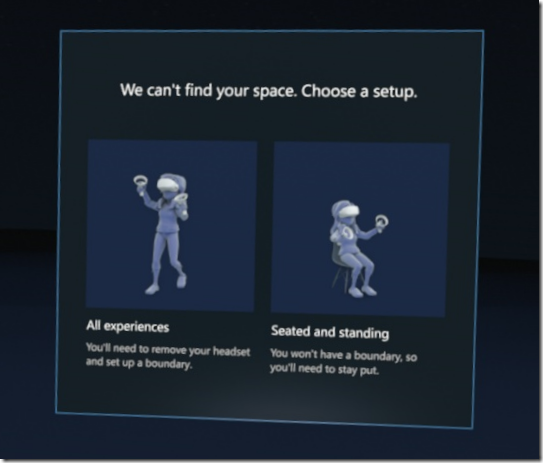 Even so, there are inherent issues with a fully immersive environment. You are vulnerable in various ways. Having people around wearing earbuds and staring at a screen is bad enough, but VR takes anti-social to another level. The added expense of creating the content is another issue, though the right tools can do an amazing job of simplifying and accelerating the process. It is worth noting that VR has been around for a long time. Check out the history here. Virtual Reality arcade machines in 1991. Sega VR Glasses in 1993. Why has this stuff taken so long to take off, and remains in its early stages? It is partly about technology catching up to the point of real usability and affordability, but also an open question about how much VR we want and need. Ars Technica published a piece today about insecure network cameras which reminded me of my intention to post about my own experience. 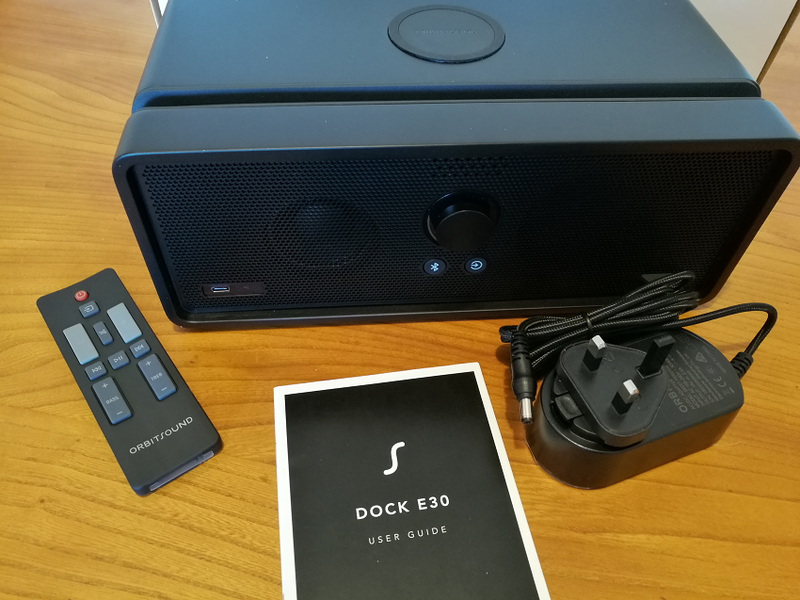 I wanted to experiment with IP cameras and Synology’s Surveillance Station so I bought a cheap one from Amazon to see if I could get it to work. The brand is Knewmart. So far, so good for this cheap solution for a baby monitor. It was easy to set up, works with various apps (we generally use onvif for android) and means that both my wife and I can monitor our babies while they’re sleeping on our phones. Power lead could be longer but so far very impressed with everything. The quality of both the nightvision and the normal mode is excellent and clear. The audio isn’t great, especially from user to camera, but that’s not what we bought it for so can’t complain. I spent quite a long time looking for an IP cam as a baby monitor, and am glad we chose this route. I’d highly recommend. My needs are a bit different especially as it did not work out of the box with Surveillance Station and I had to poke around a bit. FIrst I discovered that the Chinese-made camera was apparently identical to a model from a slightly better known manufacturer called Wanscam, which enabled me to find a bit more documentation, but not much. I also played around with a handy utility called Onvif Device Manager (ONVIF being an XML standard for communicating with IP cameras), and used the device’s browser-based management utility. This gave me access to various settings and the good news is that I did get the camera working to some extent with Surveillance Station. However I also discovered a number of security issues, starting of course with the use of default passwords (I forget what the admin password was but it was something like ‘password’). Why is this setting hidden, even from those users dedicated enough to use the browser settings, which are not even mentioned in the skimpy leaflet that comes with the camera? I don’t like UPnP and I do not recommend port forwarding to a device like this which will never be patched and whose firmware has a thrown-together look. But it may be because even disabling UPnP port forwarding will not secure the device. Following a tip from another user (of a similar camera), I checked the activity of the device in my router logs. It makes regular outbound connections to a variety of servers, with the one I checked being in Beijing. See here for a piece on this, with regard to Foscam cameras (also similar to mine). I am not suggesting that there is anything sinister in this, and it is probably all about registering the device on a server in order to make the app work through a peer-to-peer network over the internet. But it is impolite to make these connections without informing the user and with no way that I have found to disable them. I am not sure that this is the exact system used by my camera, but I think it is. I have no intention of installing the P2PIPC Android app which I am meant to use with it. 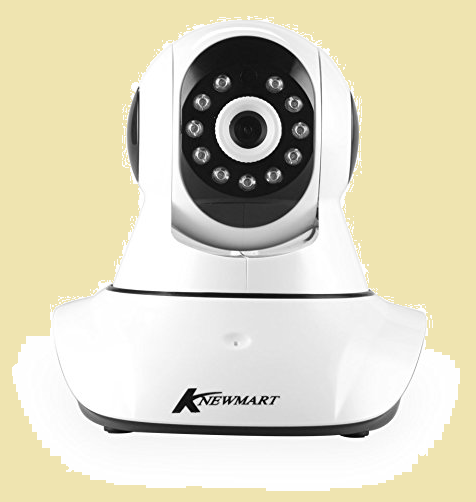 The result of course is that your “security” camera makes you vulnerable in all sorts of ways, from having strangers peer into your bedroom, to having an intrusion into your home or even business network with unpredictable consequences. The solution if you want to use these camera reasonably safely is to block all outbound traffic from their IP address and use a different, trusted application to get access to the video feed. As well as, of course, avoiding port forwarding and not using an app like P2PIPC. There is a coda to this story. 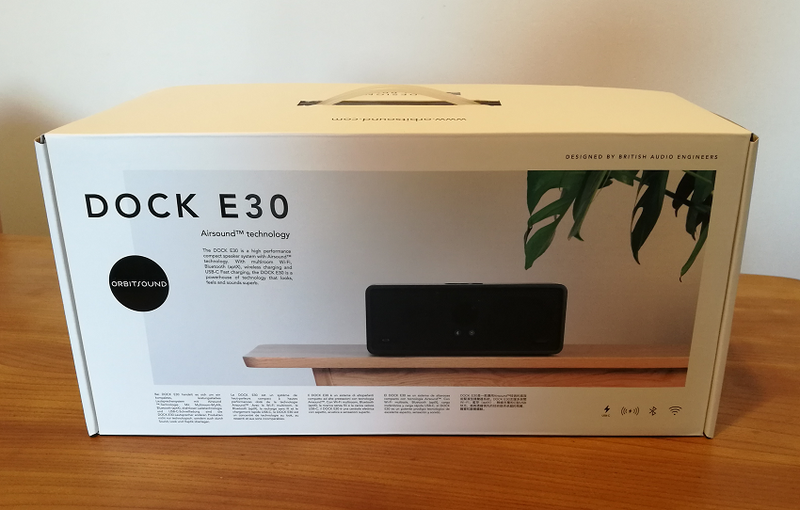 I wrote a review on Amazon’s UK site; it wasn’t entirely negative, but included warnings about security and how to use the camera reasonably safely. The way these reviews work on Amazon is that those with the most “helpful votes” float to the top and are seen by more potential purchasers. Over the course of a month or so, my review received half a dozen such votes and was automatically highlighted on the page. Mysteriously, a batch of negative votes suddenly appeared, sinking the review out of sight to all but the most dedicated purchasers. I cannot know the source of these negative votes (now approximately equal to the positives) but observe that Amazon’s system makes it easy for a vendor to make undesirable reviews disappear. What I find depressing is that despite considerable publicity these cameras remain not only on sale but highly popular, with most purchasers having no idea of the possible harm from installing and using what seems like a cool gadget. We need, I guess, some kind of kitemark for security along with regulations similar to those for electrical safety. Mothers would not dream of installing an unsafe electrical device next to their sleeping child. Insecure IoT devices are also dangerous, and somehow that needs to be communicated beyond those with technical know-how. 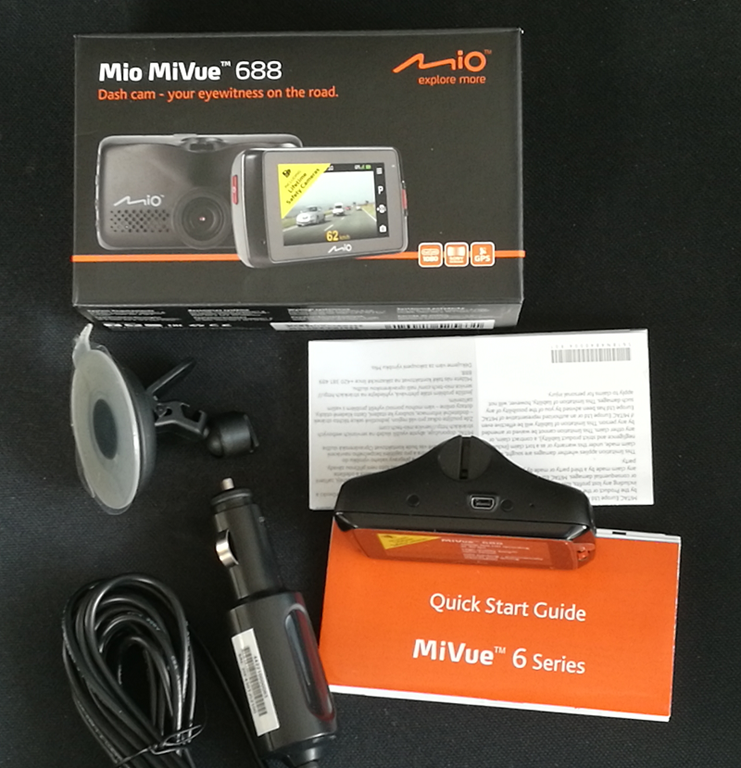 The Mio MiVue 688 is a high quality dashcam which will record your journeys as well as alerting you to lane drift and speed cameras. In the box is the device itself – around 90 x 45 x 37mm – together with a vehicle power adapter and a suction mount. You will need a couple more things to get going: a Micro SD memory card (8GB to 128GB) and a USB Mini-B to type A cable, presuming you want to connect it to a PC. It is always annoying to find that that you have to buy extras, though you may have some spares anyway, and also annoying that MiVue still use the older Mini-B connector which is relatively uncommon now. The MiVue 688 has a rechargeable battery, though for full use you will want to keep it powered continuously with the adapter. After charging, the first thing you will want to do is to set the date and time as well as your preferred distance measure. Being in the UK I set it to miles. The control system is not all that intuitive. By default the unit records when it is on. The function keys come into play when you go into the menu. The top key is the menu key; it displays or exits the current menu. The next key is Enter. The two lower keys are cursor keys. At first you might think that the buttons align with the menu item you want to operate, but they do not. Of course you are not intended to operate this fiddly menu system while driving. The normal use is that recording starts as soon as the unit receives power, in other words when you start the engine. It then records continuously, creating 3-minute video files. If it runs out of space it overwrites old files. When you start recording you get a view of what it is recording on the screen. After a short time, this blanks out and you just get the time. However it is still recording. The device has a Sony Exmor video processor, does 1080p video recording and displays on a 2.7″ screen. It has an F1.8 aperture and a 140⁰ wide angle lens. I tried the MiVue on a 3-hour journey on a rather damp day. The first challenge is mounting the MiVue, the main problem being getting the power cable connected without it hanging dangerously or getting in the way. I found some short lengths of gaffer tape essential, to secure the cable to the edge of the windscreen. The MiVue cable is fortunately fairly long. 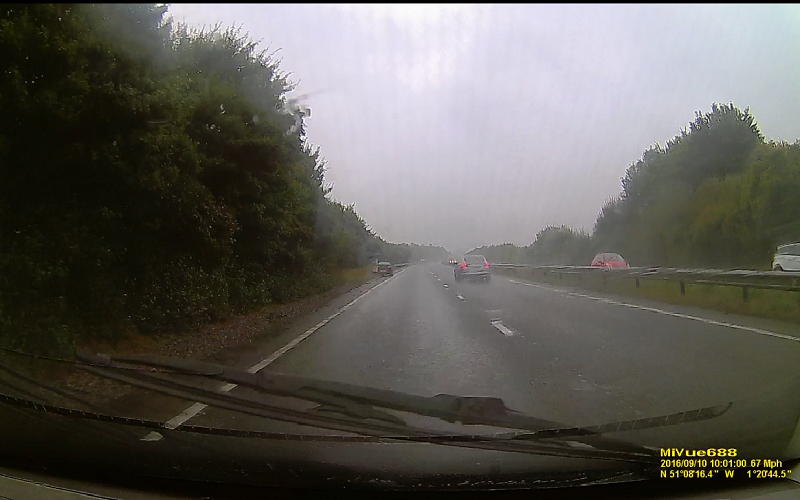 I then sited the camera towards the top of the windscreen. Again, care is needed as you do not want it to obscure your view. I found the way the device works confusing at first. 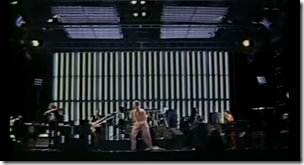 In particular, I thought that when the screen changed from the live recording to the clock, that recording had stopped. It was only when I got back and connected the device to a PC that I realised the entire journey was on video. I do think this is preferable; despite the emergency button, you want the recording to happen without having to think about it. My journey passed without incident, but having a recording, given how simple this is to achieve, does make sense. If you are the innocent party in a collision, it will provide crucial evidence. Note that it records your speed and exact location as it goes, thanks to built-in GPS. A side-effect of having a dashcam may be that you are less inclined to take chances, knowing that there will be evidence. When we parked, I removed the MiVue, because I did not want the embarrassment of risking theft of my loan gadget. This is a dilemma, as the MiVue has a parking function that will automatically record if it detects a collision when parked. If you think someone might steal the device though, that will not help you. On the plus side, there are a few extras. The safety camera warnings worked, though if you have SatNav of some kind you probably already have this. There is the parking function mentioned above. The speed always shows, and since this is more accurate than my in-car speedometer this is a benefit. A camera feature lets you take still images. Could be handy after an incident. A motion sensor kicks in a recording automatically in the event of sudden movement. This also tends to happen when handling the unit, for example connecting it to a PC! There are also some Advanced Driver Assistance features. Specifically, this covers Lane Departure Warning (could be a life-saver if you fell asleep), which beeps if you drift out of your lane; and Front Collision Warning System which beeps if it thinks you are driving too close to the vehicle in front. These are handy features, but require regular calibration to work. You have to tell the MiVue where is the horizon and where is the end of your bonnet (hood). You cannot do this while driving so require a passenger. I would have thought the AI for this kind of feature could do this calibration automatically as systems like this evolve. You can download a MiVue Manager app to help you view your videos. I did not get on well with this. The first annoyance was that the MiVue Manager app insists on running with admin rights on Windows. Next, I found it still did not work because of missing codecs. However I can view the videos fine using the Windows 10 built-in app, or VLC. So I gave up on the MiVue Manager. 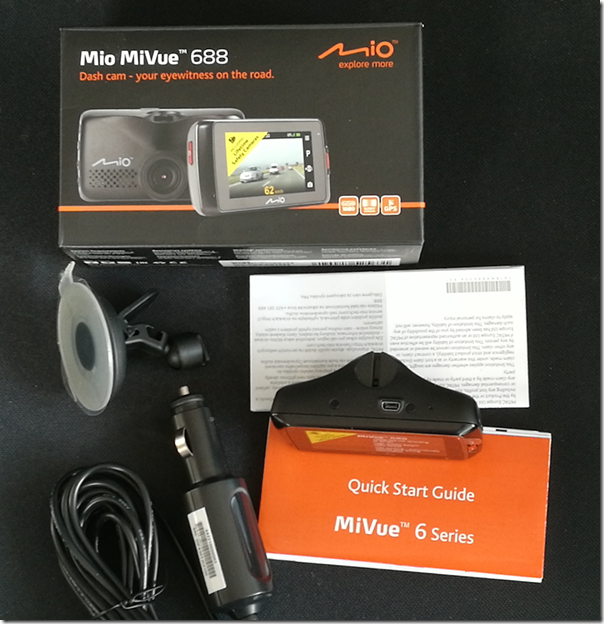 The MiVue 688 will cost you around £150 and works well. As noted above though, there are some annoyances and you might prefer a touch control unit like the 658, which is a similar price. I am still impressed. The quality of the video is very good, and this MiVue provides significant benefit at modest cost. 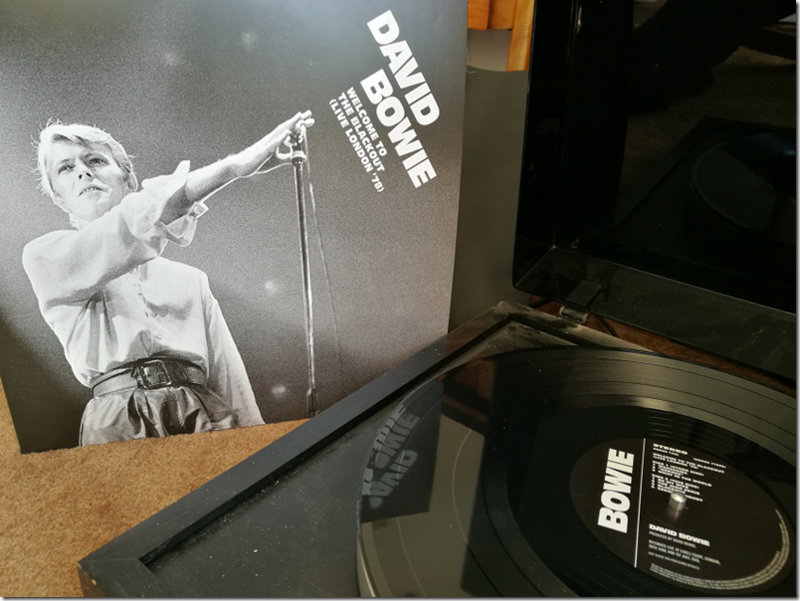 Somewhere I’ve got a book, “David Bowie in his own words.” Sadly Bowie is no longer with us, and we have to make do with David Bowie in other people’s words. Here are some good ones. This book is subtitled “A tribute to Bowie by his artistic collaborators and contemporaries,” which describes it exactly. It’s been put together by Rolling Stone writer Brian Hiatt, who conducted the interviews, and I doff my cap to him: he’s managed to ask the right people the right questions, and assemble the results into a tasteful and compelling portrait. The first contributor is George Underwood, a schoolfriend who became an a artist and contributed to some of Bowie’s album covers. Amazingly, George Underwood left a message for Bowie on his answerphone in 1976 or thereabouts, saying “I’m happy, hope your happy too.” The words later turned up on Ashes to Ashes. “But I don’t know if I’m the Action Man,” writes Underwood. Then there’s Dana Gillespie, an early singer friend for whom Bowie wrote the song Andy Warhol, though it first appeared on Hunky Dory. 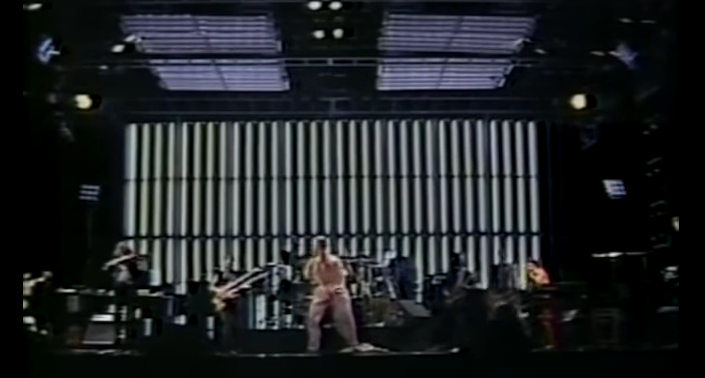 And Nile Rodgers, of Chic, says Bowie really did call him up and say, “you do hits, I’d like you to do a record of hits” – it became, of course, Let’s Dance. His account of how it was recorded is incredible, gripping. I won’t spoil it for you by quoting everything. This isn’t a picture book, but it is illustrated with around 40 photos and artworks most of which I had not seen before. The printing is high quality and this is just a lovely book, you will know Bowie better after reading it. The only thing I don’t much like is the cover, which looks rather cheap to me, not hinting at the wonders within. And I suppose there are other contributors it would have been nice to see included, Brian Eno, Robert Fripp, Tony Visconti and more; but you never get everyone in a project like this. Meizu, one of the top ten smartphone manufacturers in China, has just brought out the M3 Max, an Android 6.0 phablet currently on offer for $224.99 (around £185), which seems great value for a 6.0″ smartphone complete with dual SIMs slots and fingerprint reader. 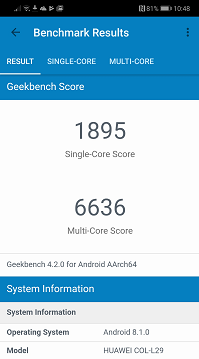 I have been using it for a while to see how it stacks up against the competition. My M3 Max is a sample, and while I believe it matches the production model in terms of hardware, you may find a few more concessions to non-Chinese users in the version for European and US markets. That said, my sample does include the Google Play Store and a thing called GMS Installer which assists installation of the Google Mobile Services required for Google-flavoured Android, which is what most users in countries like the UK and USA require. This was my first experience of Meizu’s Flyme OS, a custom version of Android, and the distinctive one-button control. The front button on the M3 Max has multiple functions. Tap lightly and it is a back button. Press and click and it is a home button. Rest your finger and it is a fingerprint reader. And if you are wondering how to switch applications, that is a swipe up from the bottom of the screen. I like having a hardware button, but I am not convinced that one button improves on the traditional Android three buttons: back, home, and app switcher. 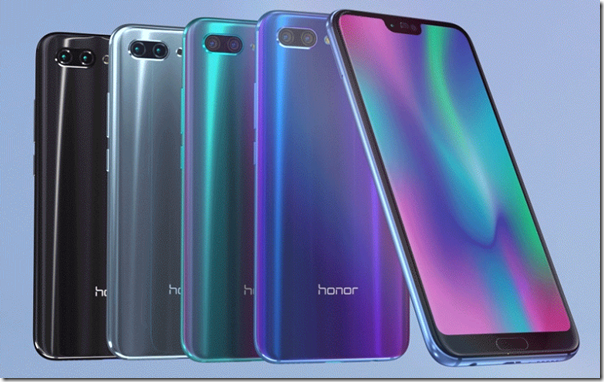 I also prefer the fingerprint reader on the back, as on recent Huawei phones. That said, I soon got used to it. You can register more than one fingerprint, and I found it useful to register my right thumb I can pick up the phone and tap my thumb on the front to unlock it. Setting the phone up was a little more challenging than with Android devices designed primarily for our market. Meizu/Flyme has alternative apps for common requirements such as web browser, maps, music and even app store. I found myself downloading a bunch of apps to get a more familiar experience, including the Google Chrome browser, OneDrive, Outlook, Twitter, Facebook and Spotify. 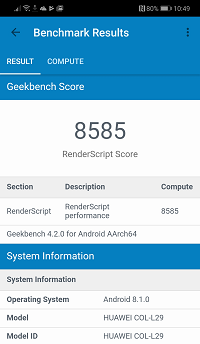 I did have a few issues with the Play store initially – it would open and immediately crash – but things seemed to settle down after I applied a few updates. There are a few compromises in a phone at this price point. The fingerprint reader is not the equal of the one on the Huawei P9 or Honor 8, for example, taking longer to register my fingerprint and requiring slightly more careful positioning to read it, but it still works satisfactorily. 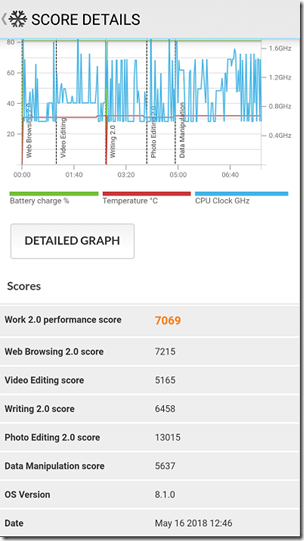 In day to day use I have no complaints about the responsiveness of the OS or the battery life. Physically the M3 Max has a metal body and a smooth finish. The design is straightforward but pleasant enough. The case is 7.9mm thick, which makes it a relatively thin device if that is important to you. It is somewhat heavy though, about 190g, though in return you get a reassuringly solid feel. The Flyme skin supports floating windows after a fashion. 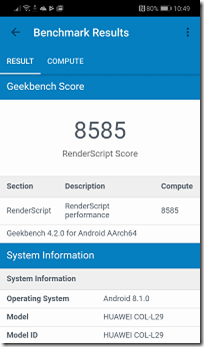 Even on a 6″ device though, it is not all that useful since you can only really make use of one app at a time. Swipe down from the top to reveal notifications and the usual array of Android shortcuts. The camera is nothing spectacular but does cover most of the features you are likely to want. Tap the Auto button to reveal popular features like Panorama and Macro. This is also the route to video recording. A decent range of controls. The Settings button lets you specify photo size as well as other features like grid lines. 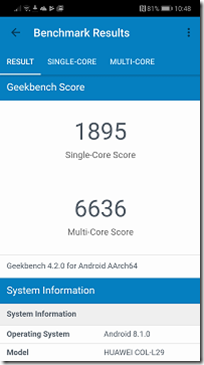 I ran some benchmarks. 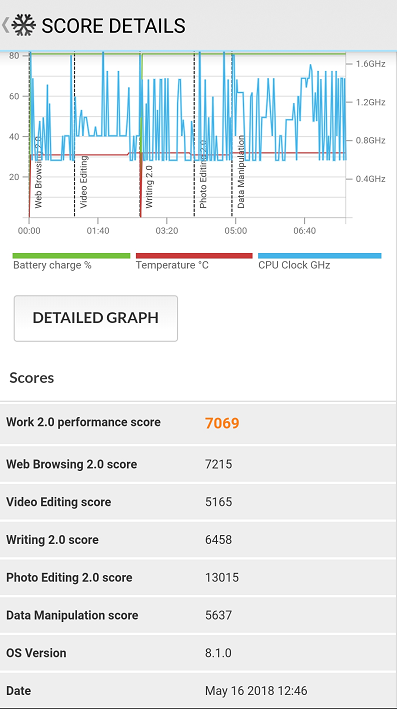 PC Mark came up with a score of 3156 for its Work 2.0 performance. While these results are unexciting, at this price point they are more than reasonable. 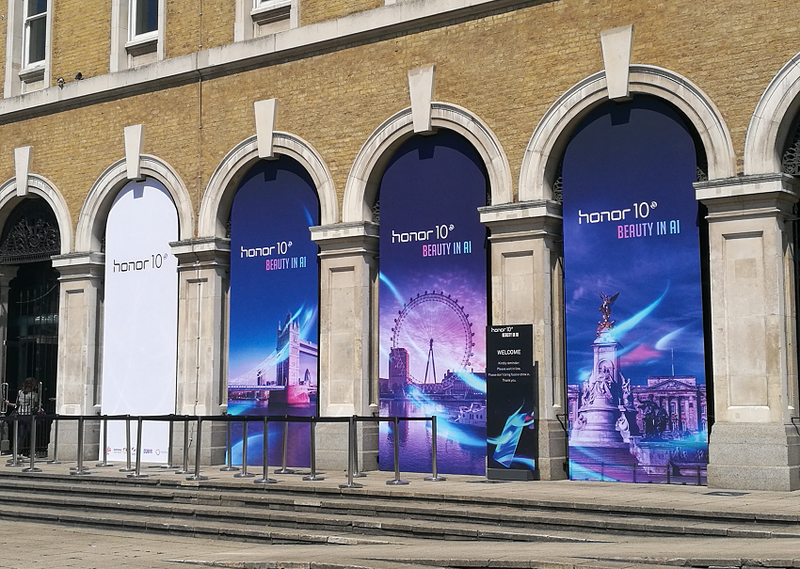 Meizu is not a well-known brand in the UK or USA, but they are a major Chinese vendor, though pitching towards the lower end of the market. This is a good value device and a solid choice if you are looking for a phablet-style phone in this price range and can put up with a slightly less familiar Android experience.